Basic and clinical research buildings of the Osaka University Graduate School of Medicine (left), Life Sciences Library (front), Osaka University Hospital (the tall building on the back) . On the opposite side of street on the right, there is a new building of the Graduate School of Frontier Biosciences, which is dedicated to advancing new frontiers in science (inset). Osaka University, Graduate School of Medicine/Faculty of Medicine, and Osaka University Hospital were originally established in 1869 as the Provisional Hospital and Medical School of the Osaka Prefecture within the premises of the previous Daifukuji Temple. 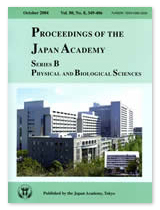 The origin can be traced back even further to 1838 when Koan Ogata, a famed doctor/scholar of the Dutch school of studies founded a small private educational institution called Tekijuku. 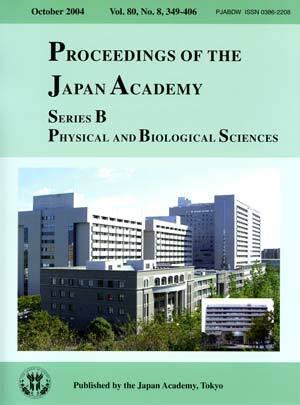 It was named the Osaka Imperial University School of Medicine in 1931 within the Imperial University system in Japan. In 1993 the Osaka University Hospital and the Faculty of Medicine were relocated from the center of Osaka City to the present Suita campus, located near the northern edge of the city. Also located on this campus are the Institute of Scientific and Industrial Research, the Institute for Protein Research, the Institute of Social Economic Research, and the Institute of Joining and Welding Research. At the present time, the goal of the university is to become “a university of world caliber” by fulfilling its motto “Live Locally and Grow Globally”.